LG has announced pricing and availability of its updated 2017 family of Gram laptops: their ultra-lightweight and portable lineup. 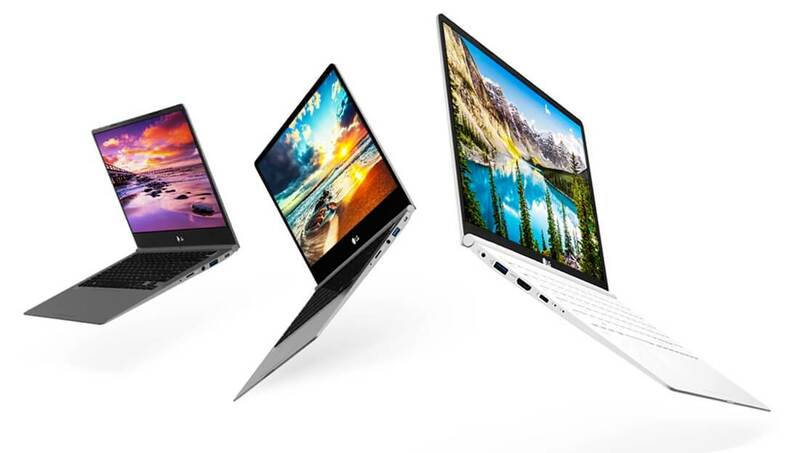 The LG Gram is situated in the lightweight and portable at all costs market with competitors like the Acer Swift and HP Spectre. Of the six new models announced today, all of them weight less than 2.5 pounds. The launch brings laptops in three different sizes and multiple hardware configurations. Features across the board include IPS panels and very narrow bezels around those displays. Powered by 7th-gen Intel Kaby Lake processors, LG is positioning the new Gram notebooks as high-end devices for content creators and those that carry a laptop wherever they go. The smallest and lightest is the 13.3-inch LG Gram 13Z970 which features 8 GB of RAM, a 256GB SSD, optional touch screen, and weights in at just 2.07 pounds. It's priced at $999 for the non touch model and $1099 for the touchscreen variant, with 17.5 and 15 hours of battery life respectively. Moving up to the 14-inch models is the touchscreen 14Z970. The more affordable option comes with an i5 processor, 8GB of RAM and a 256GB SSD. It retails for $1199 and a reported 14.5 hours of battery. The more expensive and slightly upgraded $1499 model features an i7 processor and a 512GB SSD. Both weight 2.14 pounds. The largest model is the 15.6 inch 15Z970. It comes with both a $1199 i5 and $1699 i7 variant. The i5 model packs 8GB RAM and a 256GB SSD, while the top of the line i7 model has 16GB of RAM and a 512GB SSD. The i5 version has 15.2 hours of battery life, while the i7 is estimated to last for just 12.5 hours.